Shoot, toss, climb and kick with the All Star Sports Climber. This climber was designed to keep your children active. 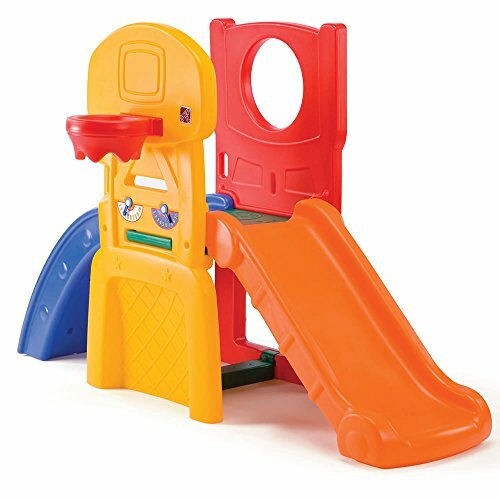 Activities include a basketball hoop, climbing ladder, football toss, soccer and slide. This climber teaches children to toss, shoot, and kick on a target at a young age. A built in score keeper allows for children to keep score of their games. Accessories include an inflatable football, basketball and soccer ball.